^ U.S. POPClock Projection. U.S. Census Bureau. Figure updated automatically. ^ People Citizenship in Mexico, 2009 互联网档案馆的存檔，存档日期2011-02-25. ^ Record Numbers of Americans Living Abroad. Shelter Offshore. [2008-09-30]. ^ U.S. citizens living in Canada: Time to come clean to the IRS. Financial Post. [2011-07-31]. （原始内容存档于2011-09-28）. 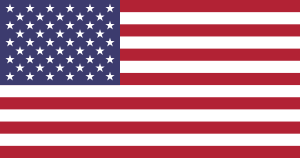 ^ Liberia: History, Geography, Government, and Culture. Infoplease. [2008-09-30]. ^ Americans abroad 1999 互联网档案馆的存檔，存档日期2011-02-25. ^ Embassy of the United States Paris, France – Americans in France 互联网档案馆的存檔，存档日期2015-04-18.. France.usembassy.gov (2010-08-10). Retrieved on December 9, 2010. ^ Statische Bundesamt Deutschland 互联网档案馆的存檔，存档日期2010-11-16. ^ "US citizens in rush for offshore tax advice"
^ Americans living in Costa Rica. Costa-Rica-Life.com. [2008-09-30]. ^ SAUDI-U.S. TRADE. Commerce Office. Royal Embassy of Saudi Arabia in Washington D.C. [2012-02-14]. （原始内容存档于2012-09-13）. Furthermore, there are approximately 40,000 Americans living and working in the Kingdom. ^ Association of Americans & Canadians in Israel. AACI. Retrieved on December 9, 2010. ^ Kate King. U.S. family: Get us out of Lebanon. CNN. 2006-07-18 [2012-02-14]. （原始内容存档于2012-03-06）. About 350 of the estimated 25,000 American citizens in Lebanon had been flown to Cyprus from the U.S. Embassy in Beirut by nightfall Tuesday, Maura Harty, the assistant secretary of state for consular affairs, told reporters. ^ North Americans: Facts and figures. Te Ara Encyclopedia of New Zealand.